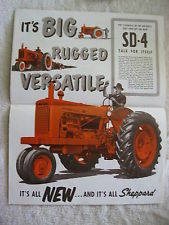 The Sheppard Diesel was a tractor born before its time. While the company didn’t survive very long, these very collectible tractors were the precursor of modern diesel farm equipment. The RH Sheppard Company was a prominent manufacturer of diesel engines in the 1930s and 1940s. Their factor ran full-throttle during World War II, producing thousands of small, reliable diesel engines to use on lifeboats. After the war was over, their contracts with the US Navy dried up – and RH Sheppard was looking for some other use for their high-quality diesel engines. Their solution: a line of tractors. They weren’t alone in this idea. The major worldwide shortage of farm equipment after World War II gave birth to dozens of small, upstart tractor companies. Most of the tractors designed by these companies were hastily thrown together. They were odd designs, lacked quality construction, and their companies went out of business quickly once the major tractor manufacturers caught up. Sheppard Diesel was different. These tractors stand out (even today) for their thoughtful design and high quality. 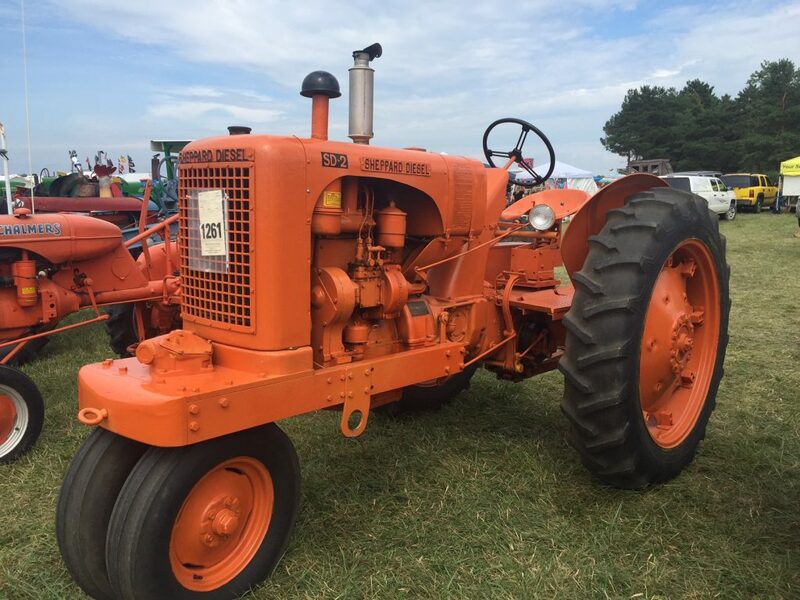 The RH Sheppard Company waited until 1949 to come out with their first line of tractors, releasing 3 distinct models at the 1949 Pennsylvania State Fair. The SD-1 was a bare-bones, single-cylinder tractor. It was tiny, with no sheet metal and a high price tag ($1,095). Less than 15 tractors of this model were produced. 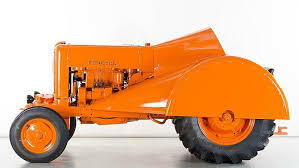 The SD-2 was a 2-cylinder tractor. It looked more like a tractor, sheet metal and all. The SD-2 was also priced significantly higher than its competitors, and sales suffered as a result. The most popular tractor was the SD-3 (3 cylinders). The 32hp (belt) tractor was priced at a competitive $2,995. Roughly 1,500 tractors of this model were produced. (An orchard version is pictured). Sheppard also produces a 4-cylinder model (SD-4) and an experimental prototype 6-cylinder model. 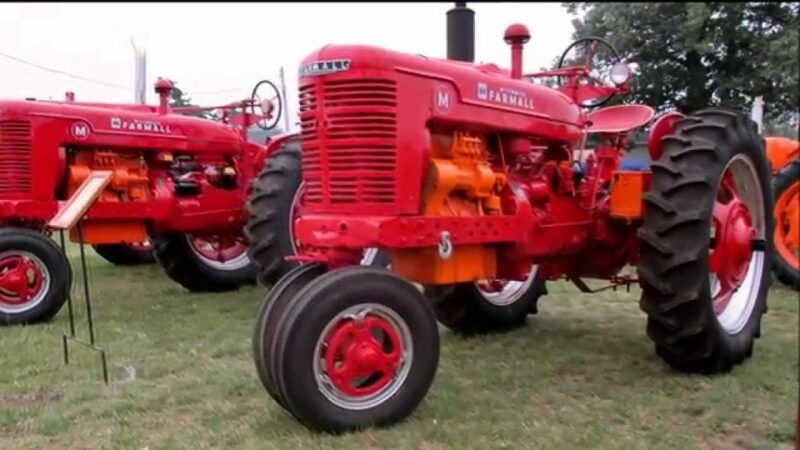 The company also manufactured kits that could convert a Farmall M to a diesel fueled-engine in just one day (at least, that’s what they claimed!). The company stopped producing tractors in 1956. An economic recession had slowed sales, and Farmall and Ford had just begun offering floor plans to dealers – these factors were just too much for the company to overcome. While the Sheppard Diesel tractor didn’t catch on, it’s remembered today as a tractor that was before its time. 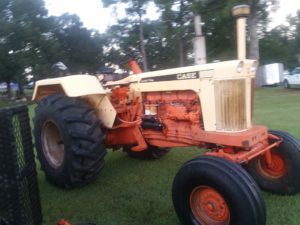 The Sheppard Diesel tractors were well designed, with straightforward systems that farmers could fix themselves. Today’s collectors rave about the relative ease of machining custom parts for their tractors. The Sheppard Diesel tractors were some of the first to offer power steering as a standard. The advancements that the RH Sheppard Company made in power steering technology continued even after the tractor line dried up. Today, RH Sheppard is a leading manufacturer of power steering systems and components (particularly for large trucks and farm equipment). I was really young when my father bought his Sheppard. Diesel fuel was very cheap back then. The Sheppard’s battery was too small to reliably start it. Most times we used another gas tractor to start it. At lunch he just left it idling in the field since it used so little and the cost per gallon so low. Dad sure loved the cheap operating costs of this tractor.